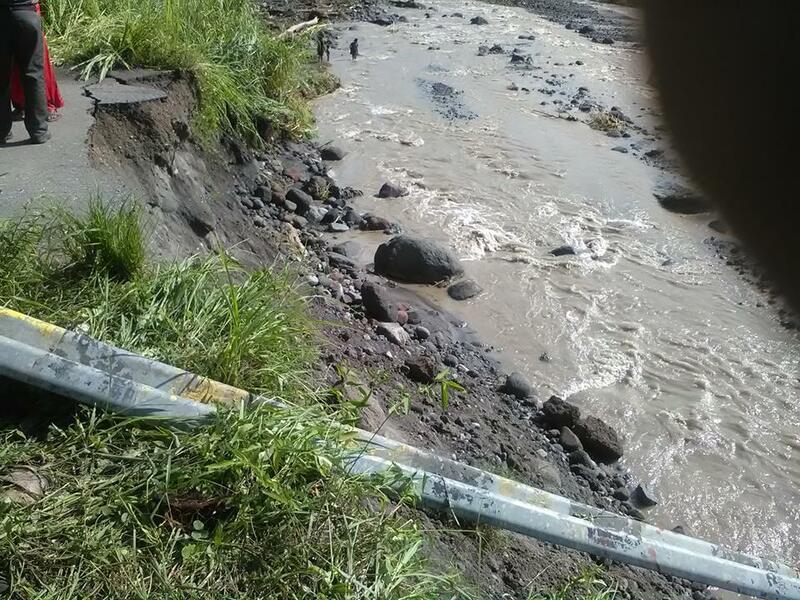 Oro Governor Gary Juffa has met with the Oro Provincial Administrator and the Disaster Coordinator today during his survey of the 7 broken bridges as well as culverts in the province and he said the situation of the broken bridges in Oro Province is not really serious as being reported. Governor Juffa said those temporary bridges that were washed away were built by the Works department for the people to use while waiting for the permanent bridges to be built. The permanent bridges were intact and were not affected and are nearing completion and a team from the provincial government and stakeholders are working to complete all the construction works. He said a report from the current situation has been sent to the Prime Minister’s Department and they are awaiting further assistance from the government. Governor Gary Juffa also confirmed that shipping services at the main wharf at Oro bay were not affected following the washing away of temporary bridges. He said only Goods from the wharf were not being able to be transported to Popondetta town because of the washing away of the Girua and Aijo Bridges which connects the town with the Girua Airport and the Oro Bay. Schools in province which were affected of the disconnection of the roads were also suspended by the governor. He assured all parents that all registrations of students will resume once normalcy is restored in the province particularly in the areas affected. Meanwhile rains continue in the provinces and the weather is unpredictable during this time. Meanwhile, the NDB’s Wheels on Meals Project is an opportunity for SMEs and the Oro Provincial Government will now be utilize the K500, 000 funding for Women in Business which have been put aside since 2013 to implement the project in the province . Governor Juffa said he will be rolling out this project in Oro in March this year targeting mothers and Women in Business and Youths are also encourage to participate in the project. He said there will also be trainings for those who will be participating in the project. Furthermore the Governor said Oro Province will see many more developments in the Province this year begining with the Launching of the Popondetta Newspaper next month and the roll out of the PSIP programs as well as the K1million school fee scholarship program for tertiary students which are to be continued this year. Governor Juffa said he is looking forward to continue rebuilding Oro Province.